Looking for a good 'Girls Night Out'? 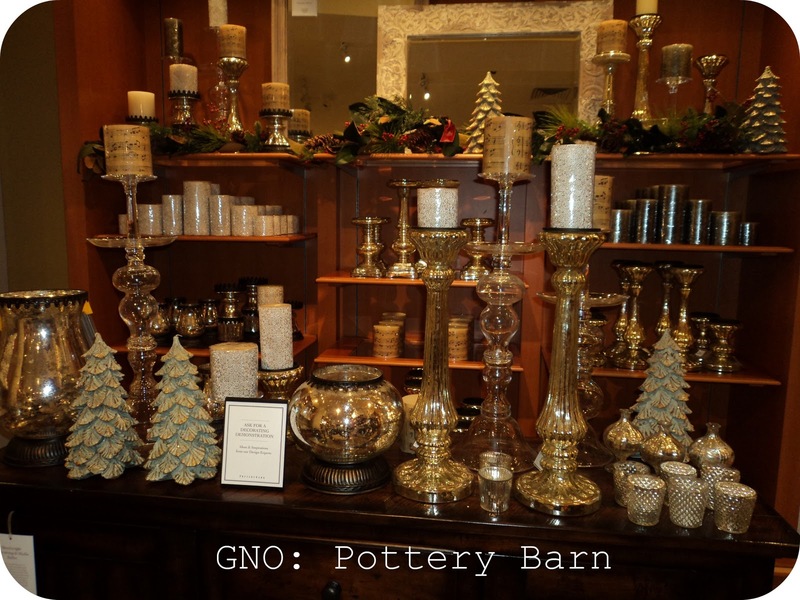 Well, if you are a decor enthusiast, try your local Pottery Barn. My MOPS friends and I met up at our PB for a free after-hours private shopping event. 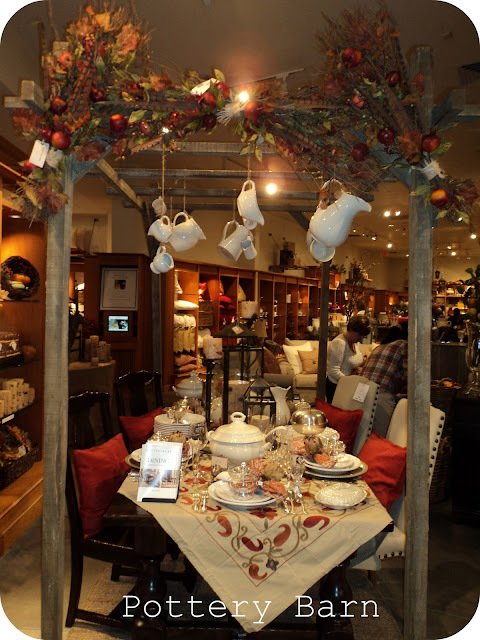 We were treated to a 'tablescape' presentation that was filled with tips and tricks using Pottery Barn's newest holiday products. 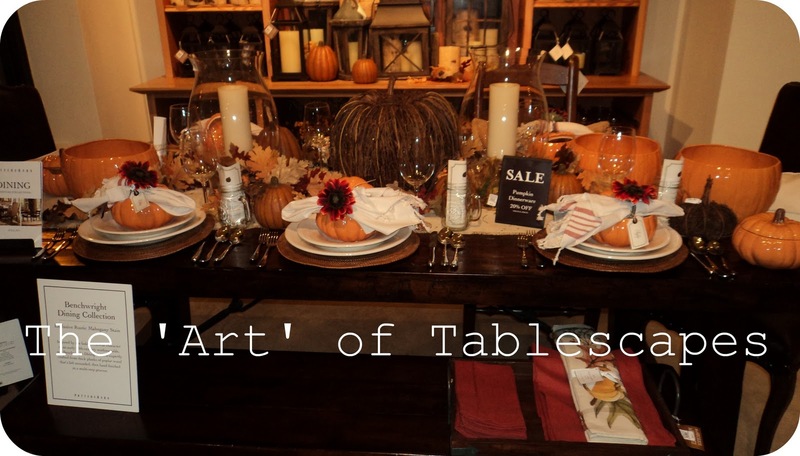 Basically 'tablescape' is just a fancy word for decorating your table. And this table could be the big long one in your dinning room, the small round one in your kitchen, or maybe an entry or side table. The main point that our 'PB guru' emphasized is that table or even mantle decor is more interesting with details and layers. Refrain from lining everything up in straight line. There are actually some 'official geometric names' for how this is done. The Pyramid- Just how it sounds. 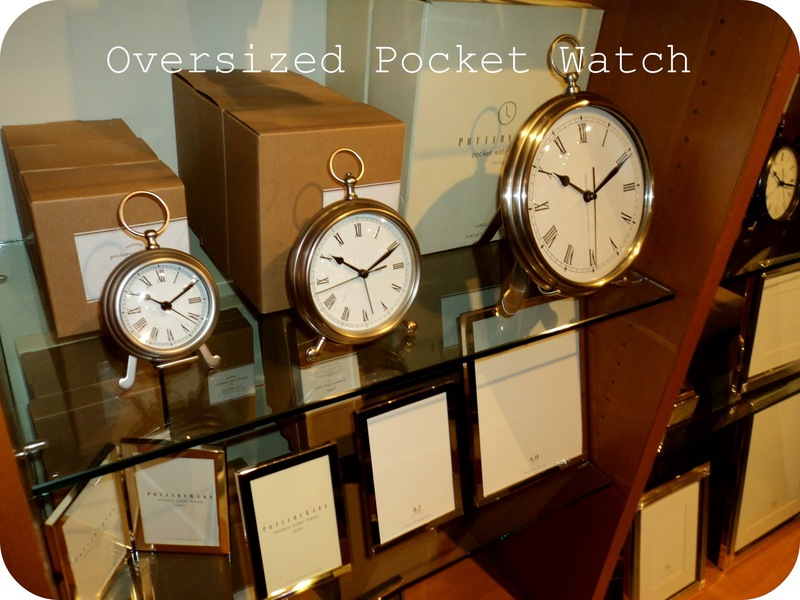 You arrange your items with the tallest in the middle and then gradually sizing down. This can also be done as an Inverted Pyramid- with the tallest on the sides and then gradually sizing down to the smallest item in the middle. 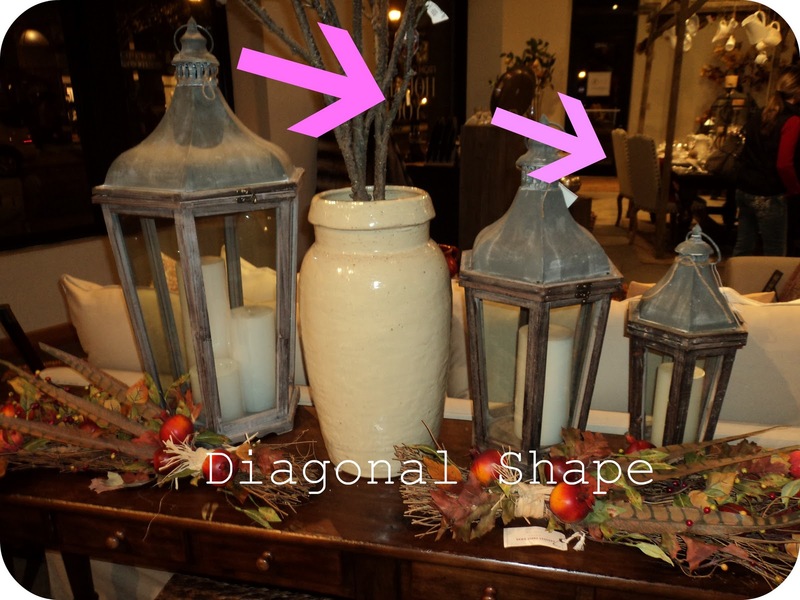 Or try The Diagonal- Start large/tall on one end and then work your way down to the smallest item. Notice the feathers and leaves at the bottom- a nice change from the traditional fall leaf garland. 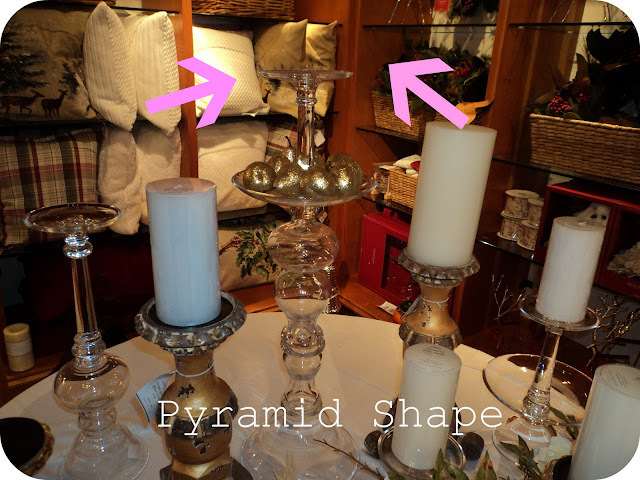 Again the most important aspect when decorating a table or a mantle is not to line up everything in a straight line. Varying the heights, pulling a few items to the front and pushing a few to the back will add more visual interest. Most of what I saw in PB reinforced my belief that the best decor comes from shopping your home. Use things are not 'traditional' Thanksgiving or Christmas items and mix them in with your turkeys and nutcrackers. It really creates a beautiful look. -Switching out pillows with the changing season. Add more texture or color to your couch for Thanksgiving and Christmas. 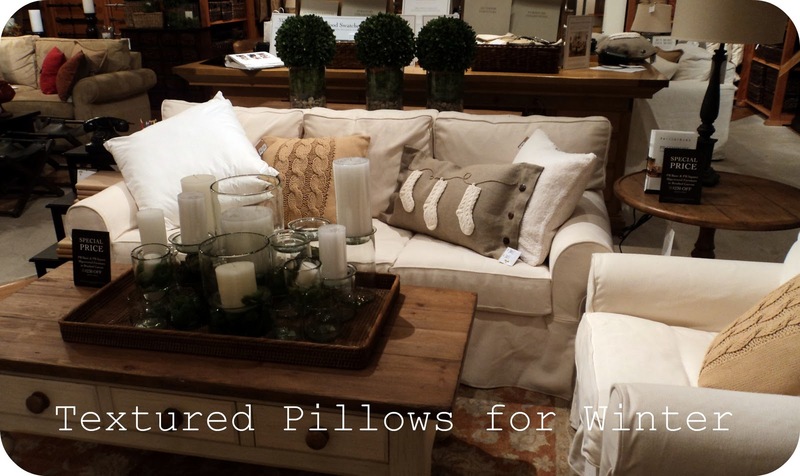 I loved these cozy pillows. My friend Kelsey even picked up a few red plaid pillows to perk up her neutral couch for the holidays. 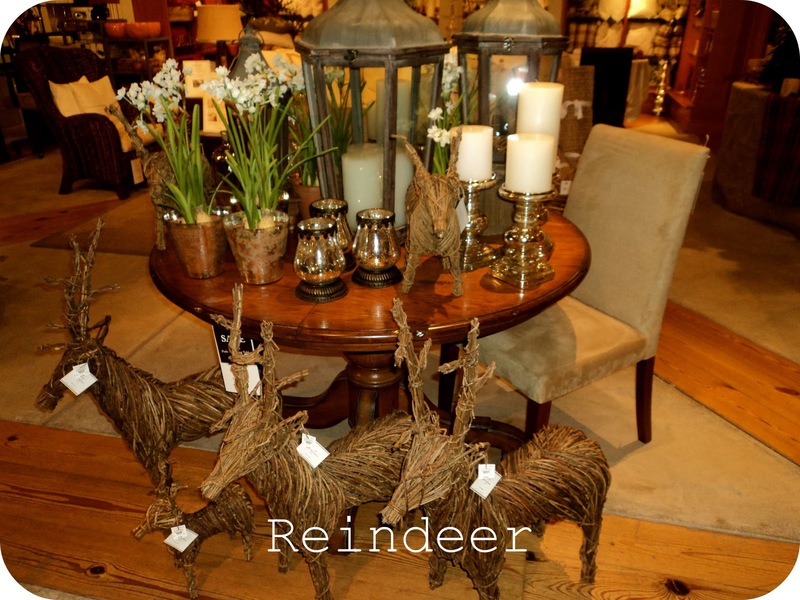 -Bring Nature into your home with a few Animals! I have a stone bird that moves around my house with the season. But how cute are these creatures? Several of the PB turkeys found new homes that night. -Clocks- I received one of these as a wedding gift in 2003. And it is still one of my favorite things. I am making a mental note to give these at showers from now on. 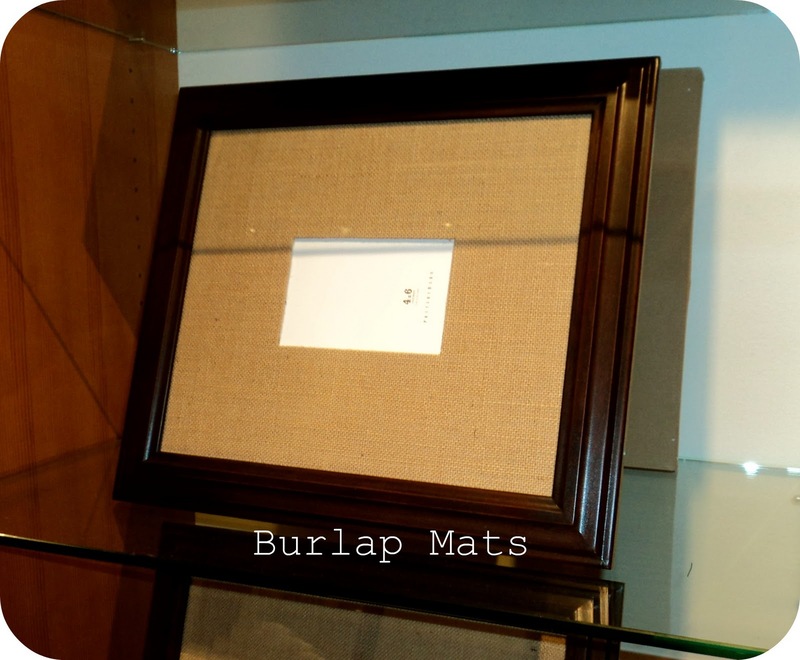 They seem to be perfect for any taste and decor style. -And finally, this pillow. I just know we can DIY this one. Has anyone seen any cute socks out there? Seems if could our hands on a hot glue gun, linen/burlap pillow with a few buttons, cable-knit socks, and some rope....we could knock-off this look! Thanks to my sweet MOPS friends for always sharing a smile with the camera! I love our nights out together. 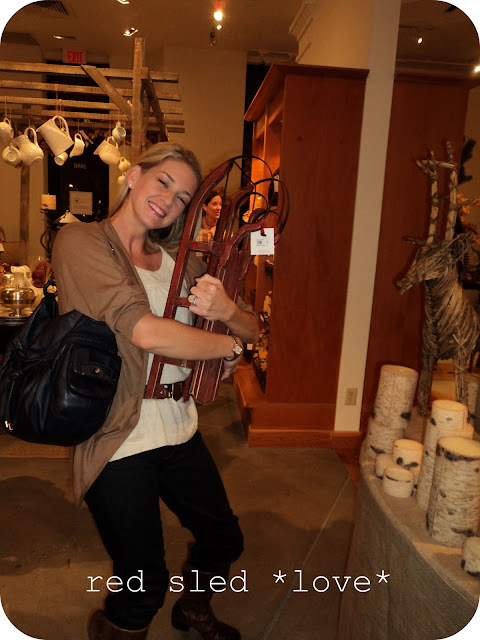 And if you are looking for a few decor tips, swing on by Pottery Barn or your favorite home store. Inspiration might just be there waiting for you! OOooh! I ♥ PB! I'm loving that stocking pillow too. I have a sweater that color that can be cut up to make those stockings! I think I'm gonna have to make this pillow! Thanks for sharing! 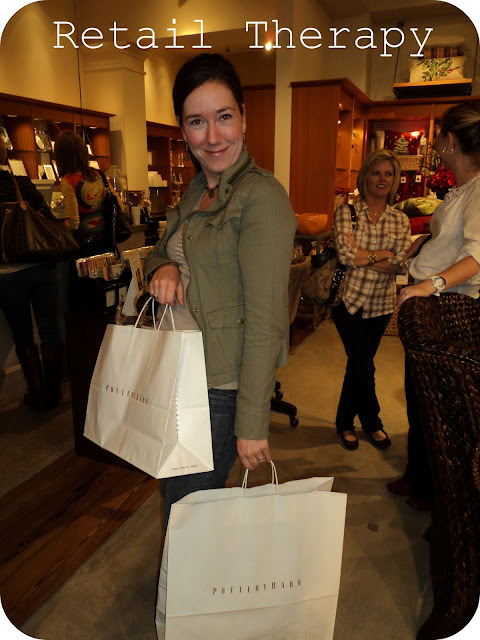 I LOVE our Pottery Barn...I just did a post on our Ace Hardware here in Keller...have you ever been? We need to get together and craft some time....I'm loving that burlap stocking pillow...might try to make! Thanks for the post! Just found you through someone else's comment thread. I've loved reading back through your posts and pinned several great ideas. I used to teach in Southlake-was at Carroll Elem. for 4 years but am now back home in Oklahoma. Thanks for sharing the PB pics. We have one in town but I don't walk through there as often as I should. Great ideas! Gotta love Pottery Barn! And thanks for sharing those fun pics, love the pillow with the socks! How fun! I love all the glitter and texture in those tablescapes. YES! Love the pillow totally want to DIY it!